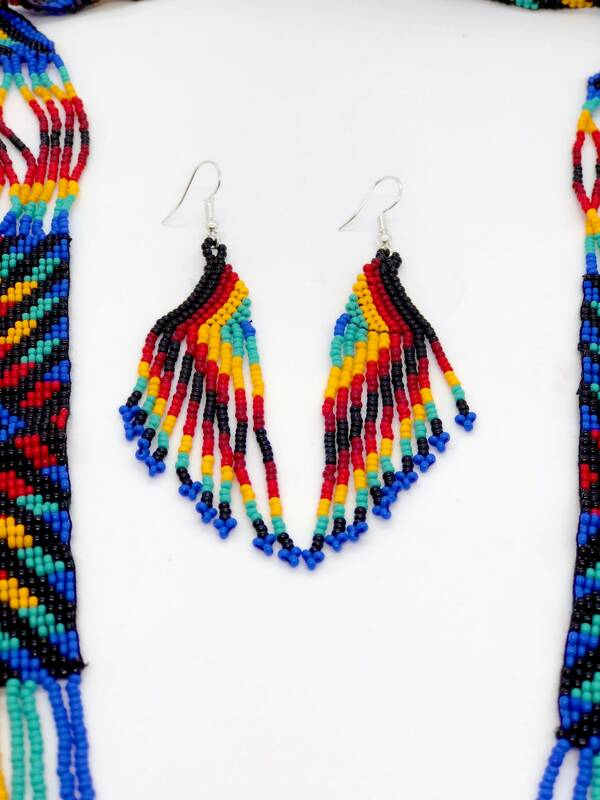 Handmade beaded rainbow and earrings set. 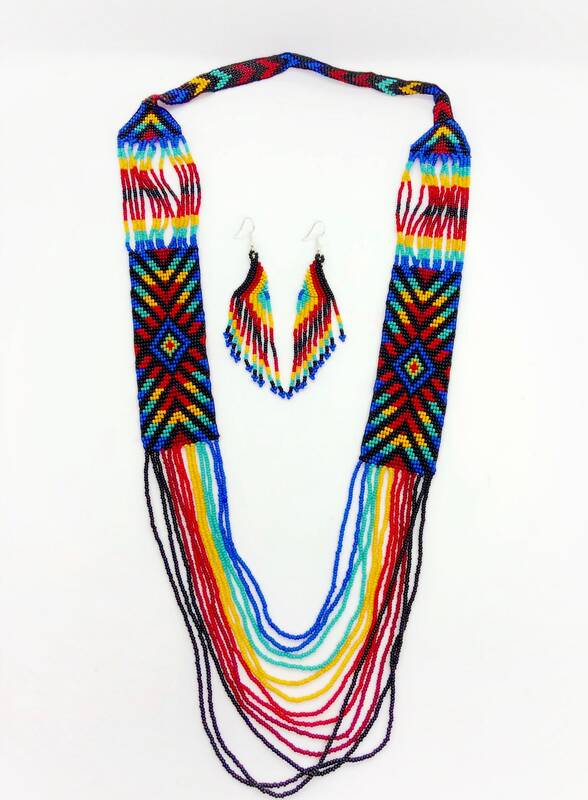 Total beaded length of the necklace is 36”. Earrings are 3” long by 1” wide. 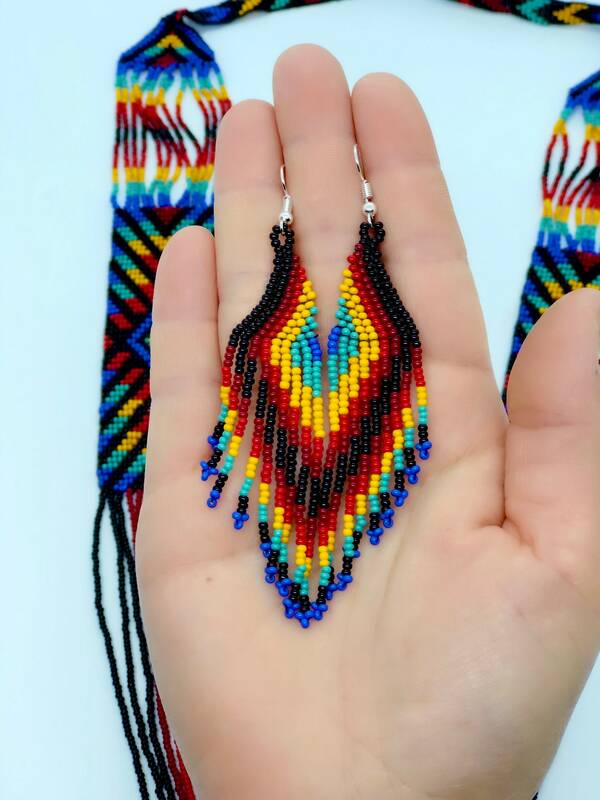 The beadwork design is Eye of the Medicine Man. 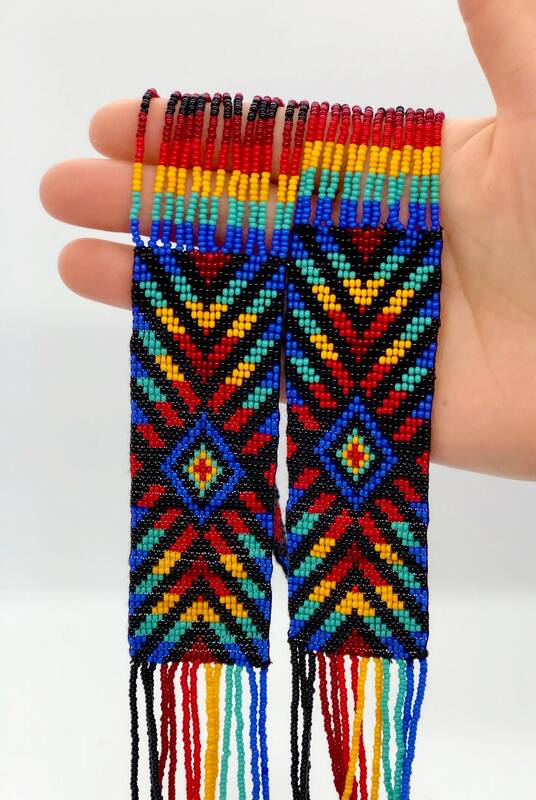 Fully beaded with comfortable neck strap.